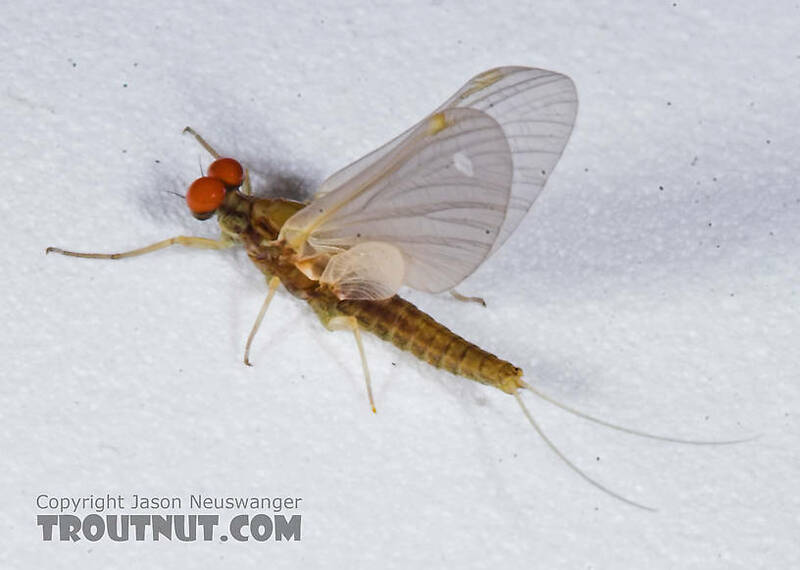 This specimen came from the same hatch as a female. This third picture from the underside I find interesting. 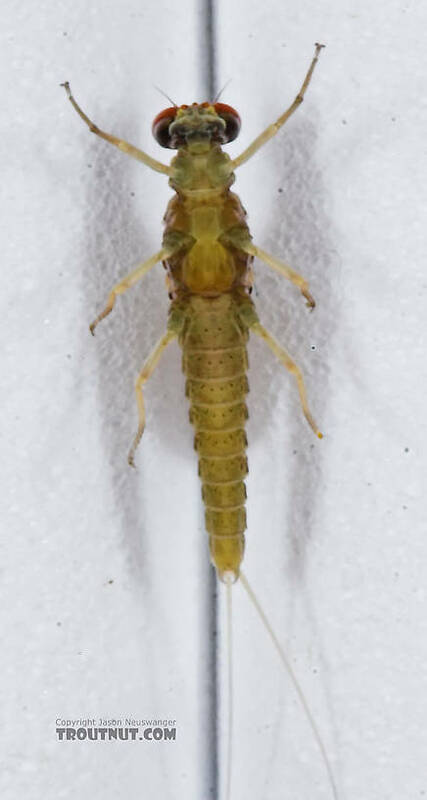 On my last trip to Au Sable in MI in late May 2010 I stopped to sit on some instream structure and was floored by the number of nymphs crawling around on my wading boots. There is always something there but this particular time the activity was heavy. 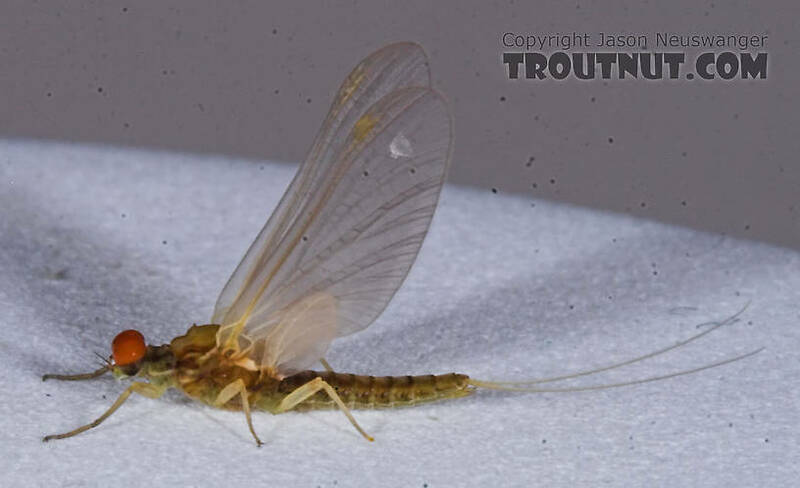 One of the nymphs stuck out from the others and had this same greenish color as this dun. All the others seemed very dark, the typical browns to black. I was in fairly fast water that was hip deep in spots and maybe deeper towards the middle of the stream...Anyway it caught my eye and I should of hung on to it or took a photo.